Courses which lead to the occupation from an MLTSL are the ones which will give you the best chance for a permanent residency. We do cooperate with educational institutions from all around Australia which have courses tailored for a PR outcome. Call us to discuss your options +61 7 3668 0658. There is a shortage of nurses in Australia, therefore nursing is a very popular choice for international students. To be registered as a registered nurse (Division 1 Nurse) in Australia a person must graduate from a Bachelor of Science (Nursing) or Bachelor of Nursing. Duration of the course is 3 years and cost is about a total of $72000. After completion of the course, you might be eligible for 485 working visa. 485 visa would be granted for 2 years. If you will consider adding 2 years on a 485 visa to your overall period of stay in Australia, an initial investment in your bachelor studies seems not to be that significant. If you will do all the maths it will be about $270 per week in average. The issue is you will have to invest all the money in first 3 years. An additional bonus for a spouse of those who are studying masters degree is that a partner can work full time unlike for diplomas or certificates. If your education is not satisfactory to be enrolled to a Bachelor course you’ll have to complete a diploma of nursing or advanced diploma of nursing (1.5 – 2 years program). After this course, you’ll be registered as Enrolled Nurse (Division 2 Nurse). Enrolled nurse is on a 2nd list of occupations, therefore you will not be eligible for 485 visa after course completion, however, you’ll have great chances for visa sponsorship. Although every year there is a rumor accountants might be removed from a list of occupations eligible for PR, occupation stands still. To be registered as an accountant you will have to graduate from a bachelor degree. After 3 years study, you might be eligible for 485 visa. Completion of a SMIPA program (Skilled Migration Internship Program: Accounting) might be a good idea while on 485 visa because it will give you another 5 points for a skilled visa. Engineering students have strong prospects of getting an employment in Australia. Australia always faces a huge requirement of engineers in several fields such as Civil, Mechanical, Agricultural, Telecommunications, and so on. Although most of the engineering professions do require bachelor degree there are some on an engineering associate level for which Advanced diploma is satisfactory such as Advanced Diploma of Telecommunications Network Engineering. Most of the IT occupations from MLTSSL list do require a bachelor degree however, if we’ll assume networking is also part of IT, there are some occupations where the advanced diploma is satisfactory. These are the ones considered as telco engineering professions. 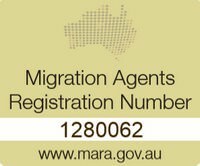 There are a few different occupations on an MLTSSL list eligible for 189 visa. Few schools do offer courses leading to occupations such as motor mechanic, panel beater, carpenter, cabinetmaker, chef were, are, and very likely will be in next couple of years available for a permanent visa. Cert IV or diploma are usually satisfactory for a qualification recognition, furthermore, after 2 years of study, you may be eligible for 485 visa, which will be granted for 1.5 years. Cost of the course is usually 12,000-14,000 AUD per year which is less than higher degree. 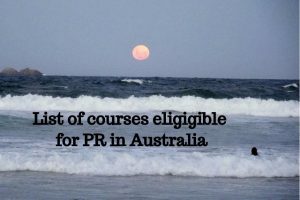 If you’d e interested in this pathway please do not hesitate to contact us to discuss your options as this is not the full list of courses eligible for pr in Australia. As a migration and education agency, we have the best of both worlds experience. 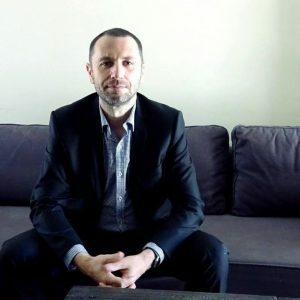 Paulina as an education expert will discuss with you which career path would best suit your needs, Charles as a migration agent will make sure your migration goals will be achieved. Call us and we’ll check what we can do to fullfil your dreams of Australian PR. Phone +61 7 3668 0658 or contact us. If Uni is not an option, you may consider Diploma of nursing first. Give us a call to discuss you options. Hi I am an international student.I have done my btech in Electronics and communication and i am planning to do my higher studies in australia.Is master of Information and communication technology in the PR list ? is Masters in emergency and disaster management course is in PR list for australia? Diploma in Nursing is not in current SOL?